Let us fly by flight simulator! 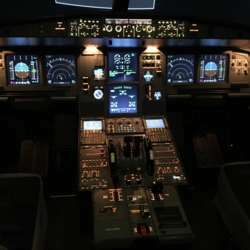 You can flight by Airbus A320 flight simulator. This facility is used pilot trainees for their self-training. You can choose any airports for taking off and landing all over the world! Let us enjoy the flight simulator flight with together!